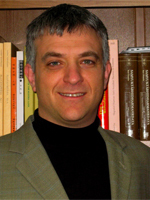 Eyal Aviv currently serves as Assistant professor of Religion. Dr. Aviv is interested in Buddhist philosophy and intellectual history. He studies topics of intersections between early Buddhist Philosophy, especially of the Abhidharma and the Yogacara traditions, and contemporary philosophy. His interest includes topics such as philosophy of mind, cognitive science, ethics and contemplative practices. His intellectual history research focuses on religion in the modern period, especially the Buddhist renaissance in modern China. In addition, he is also interested in the way the Yogacara school was received and developed in pre-modern China. His current book project explores the role of Indian Buddhist philosophy in the formation of modern Chinese Buddhist thought. “Telling Pearls from Fish-Eyes: Ouyang Jingwu's Search for Authentic Buddhism” (a book manuscript, under contract with Brill Press). “Ouyang Jingwu.” In Brill's Encyclopedia of Buddhism. Leiden: Brill Press, (forthcoming). Review of Gareth Fischer, From Comrades to Bodhisattvas: Moral Dimensions of Lay Buddhist Practice in Contemporary China. From Comrades to Bodhisattvas: Moral Dimensions of Lay Buddhist Practice in Contemporary China. Honolulu: University of Hawai’i Press. In Review on Religion and Chinese Society 3 (2016): 129-132. “A Well-Reasoned Dharma: Buddhist Logic in Republican China.” Journal of Chinese Buddhist Studies. 28 (2015): 189-234. “Ōuyáng Jìngwú: From Yogācāra scholasticism to Soteriology” in Transforming Consciousness: The Intellectual Reception of Yogācāra Thought in Modern China, edited by John Makeham, 420-470. Oxford: Oxford University Press, 2014. “The Root that Nourishes the Branches: The Yogācārabhūni’s Role in 20th Century Chinese Scholastic Buddhism.” In "The Foundation for Yoga Practitioners: The Buddhist Yogācārabhūmi Treatise and Its Adaptation in India, East Asia, and Tibet," edited by Ulrich Timme Kragh, Cambridge: Harvard Oriental Series vol. 75, series editor Michael Witzel, published by The Department of South Asian Studies, Harvard University, Cambridge, Massachusetts, distributed by Harvard University Press, 2013. "Ambitions and Negotiations: The Growing Role of Laity in 20th Century Chinese Buddhism." Journal of the Oxford Centre of Buddhist Studies. 1 (2011): 31-54.